Henry H. Dueck: teacher and university administrator; born 27 September 1927 in Namaka, Alberta, Canada to Henry J. Dueck (9 December 1899, Elisabeththal, Molotschna Mennonite Settlement, South Russia – 24 October 1984, St. Catharines, Ontario, Canada) and Katharina (Barg) Dueck (1 March 1901, Elisabeththal, Molotschna, South Russia – 6 February 2000, St. Catharines, Ontario). He was the third child in a family of six sons and five daughters, and the first in his family born in Canada. On 7 July 1950 he married Mary Regehr, daughter of Jacob Gerhard Regehr (1895-1986) and Eudokia "Dunja" (Korolkova) Regehr (1898-1965). They had one son and two daughters. Henry died 13 May 2016 in Abbotsford, British Columbia, Canada, where he was buried. Henry’s parents immigrated from Elisabetthal, Ukraine to Namaka, Alberta in December 1926, and moved from Namaka to Hawarden, Saskatchewan before settling in the Niagara region of Ontario in 1933, where Henry spent his childhood years. He made a personal commitment to Jesus at age 13, and was baptized at age 16. He overcame numerous challenges to pursue a high school education, and worked hard to pay his own way through grades 10-12 at the Mennonite Collegiate Institute (MCI) in Gretna, Manitoba. He met his future wife, Mary, from Winnipeg, during their years at MCI. While studying at MCI Henry served on student committees and began learning how to bring groups of people together to accomplish common goals. Following MCI, Henry pursued a Bachelor of Science degree at the University of Manitoba, graduating in 1950. He and Mary were married in July 1950. Henry was awarded a scholarship to study in Germany for one year, so the newly married couple immediately left for Germany after their wedding. Following a year of studies at the University of Kiel, Henry and Mary spent another year in Europe; Henry taught in England, and the couple spent some time travelling. They then returned to North America to spend a year at the University of Michigan, where Henry completed his Master’s Degree in German Studies. Henry and Mary returned to Ontario, where Henry commenced his first career as a high school teacher at Eden Christian College, a private high school operated by the Ontario Conference of Mennonite Brethren (MB) Churches. After seven years at Eden, the Duecks moved to Kitchener, Ontario in 1960, where Henry took a teaching and guidance counseling position at Eastwood Collegiate Institute. In 1965 Henry left teaching to begin his university administration career as registrar of Waterloo Lutheran University (later Wilfrid Laurier University, or WLU) and secretary of the University senate. Dueck continued in that position at WLU until accepting an offer to become Vice-President of Administration for the Mennonite Brethren Biblical Seminary in Fresno, California in 1977, where he served until 1985. Henry and Mary moved across the continent at age 50 to begin a new phase of their lives. Fifteen years later, at age 65, they moved again to Abbotsford, BC for the "retirement" phase of their lives. 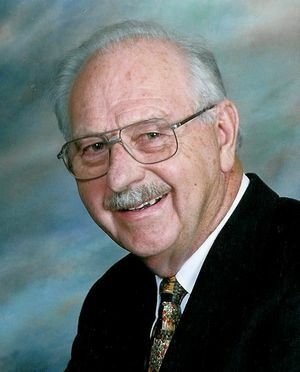 Henry became increasingly involved in volunteer church work within the Mennonite Brethren constituency during the 1960s and 1970s, particularly in matters of church governance and higher education. His gifts in this area were quickly recognized by the older generation of church leaders; this led to roles as church secretary at the Virgil Mennonite Brethren (MB) Church while he was still teaching at Eden, and then to his election as assistant pastor/moderator of the Kitchener Mennonite Brethren Church soon after moving to Kitchener. This led to membership on several MB Conference committees including the 25th Anniversary Committee of the Ontario MB Conference, the Ontario MB Conference Constitution Committee, its Board of Education, and the Eden Christian College school board where he served as chair for several years. His scope of influence then increased when he was elected to the Canadian MB Conference Higher Education Committee, the MB General Conference (Canada and U.S.) Constitution Committee, and the Board of Directors of the MB Biblical Seminary. During these years Henry also found time to regularly teach adult Sunday school classes, preach from time to time in both German and English, accept interim church leadership roles at Kitchener MB Church during transitional periods between lead pastors, and organize and lead several tours to Europe, Russia and the Middle East for Menno Travel Service. After leaving Kitchener to move to the MB Seminary in Fresno, Henry led the fund raising and construction project for a new library and teaching facility at that institution, traveled to MB churches across North America on behalf of the Seminary, while serving for many years as moderator of the Butler Avenue MB Church in Fresno, as well as continuing to teach adult Sunday school classes. During his years at the Seminary, Henry Dueck also completed a Master’s Degree in Biblical Studies. While Dueck was thus involved at the Seminary, Mary’s career as an English as a Second Language teacher led to a faculty position at Fresno Pacific University. This resulted in a "retirement" career for Henry and Mary teaching English in China; and then, after their move to Abbotsford, BC, placing themselves on the leading edge of establishing Christian universities behind the former Iron Curtain. They were involved in the early years of Lithuania Christian College between 1991 and 1994, in the establishment of the Russian-American Christian University in Moscow in 1995, and worked tirelessly toward the formation of St. Petersburg Christian University (SPCU) in Russia between 1994 and 2006. Henry also served as moderator of the Bakerview MB Church in Abbotsford for many of those years. During that period, Henry served on the board of SPCU and travelled frequently to Russia for board meetings, lived with Mary in St. Petersburg for extended periods while serving as interim president of SPCU on two separate occasions, led SPCU through international academic accreditation and establishment of a Masters of Theology program, and played a major role in a series of building projects. In 2006, SPCU awarded him an Honorary Ph.D. in recognition of his years of tireless and dedicated service. In his 2011 memoir, Celebrating a Shared Journey, Henry remarks that he saw himself and his contemporaries as the transitional generation, guiding their church community from a church polity, language, and customs that were rooted in conservative Russian Mennonite village life in the Ukraine, to a new life for that church community in Canada where it transitioned to the English language. His many successes in that endeavor were widely recognized and appreciated during his lifetime of service. Regehr, Ted. "Dueck, Henry H. (1927-2016)." Global Anabaptist Mennonite Encyclopedia Online. September 2017. Web. 26 Apr 2019. http://gameo.org/index.php?title=Dueck,_Henry_H._(1927-2016)&oldid=155895. Regehr, Ted. (September 2017). Dueck, Henry H. (1927-2016). Global Anabaptist Mennonite Encyclopedia Online. Retrieved 26 April 2019, from http://gameo.org/index.php?title=Dueck,_Henry_H._(1927-2016)&oldid=155895. This page was last modified on 2 December 2017, at 09:02.